Escape the average at this eco-friendly oceanfront destination. As an all-suite, adults-only resort, it’s ideal for both romantic retreats and refreshing vacations. Its diverse selection of restaurants, plentiful activities and invigorating spa services are sure to please. 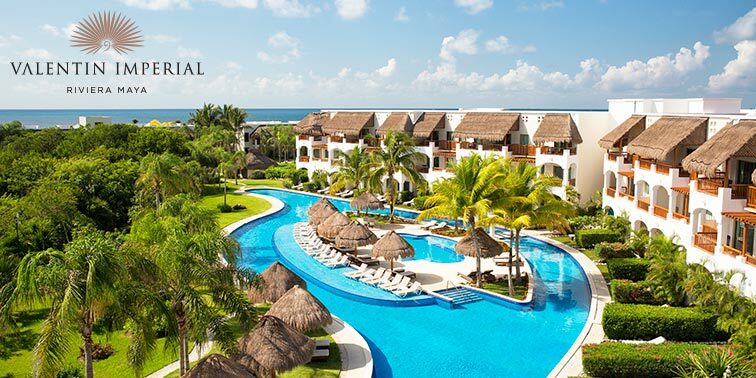 1Savings up to 52% valid at Valentin Imperial, Riviera Maya. All savings will be reflected in system prices at time of booking. Valid on new reservations made now for travel through 12/23/19.